"...yet Maine's test scores have dropped." May we please have the source for this data? What tests and what time frame? 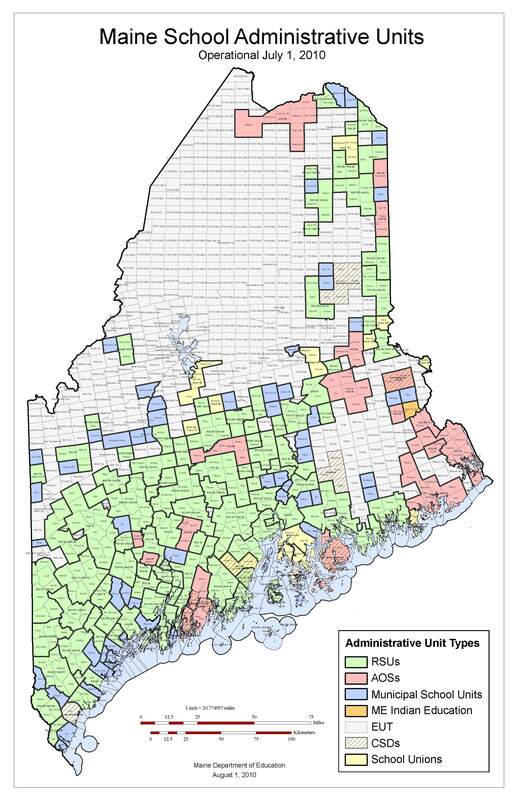 "Maine's student-to-teacher ratio is about 11-to-1 while the ratio in similarly rural states is about 14-to-1, yet all those peer states have better student test scores than Maine." ...A source for this too, please. If this comparison is based only on mean SAT scores, it's a corrosive misrepresentation, as Maine is the only state in which every student must take the SAT as opposed to only those applying to college. It's wrong to skew statistics intentionally to advance an agenda. Fortunately, it should be a relatively direct matter for the Telegram to publish either a reference confirming the assertion or a correction if it proves to be unfounded. Thanks, Tony. That's very helpful. I'll check out the report. I was just remembering Flanagan's similar claims on these pages on Feb 22 in which he used the specious comparison with the SATs. Don't get me wrong. I take seriously the need to improve Maine's schools. 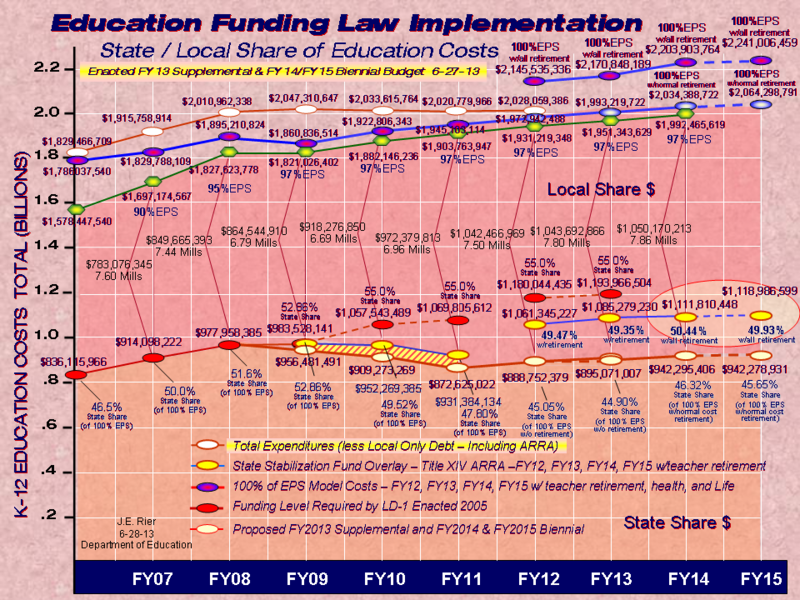 But too many people try to make the slam-dunk case that Maine schools are both expensive and poor performing. The truth is that Maine schools perform fairly decently in comparison to states with similar incomes and it costs more per pupil to deliver an above-average education equitably in a state with lower population density. While they could and always should be better, Maine schools do pretty well. Advocates of many different political stripes want to claim otherwise to undermine the current project of public education in favor of their own particular reform agenda. Okay, I've looked at both Flanagan's report and the source data. First, on page three of Flanagan's slide presentation he DOES indeed make the specious and unwarranted comparison between Maine's SAT scores and the national mean without any acknowledgment that they represent different pools of test takers. This is either ignorant or deliberately misleading. Second, Maine's scaled scores in the NAEP math exams actually ROSE during your cited interval. In 1996, Maine's 8th grade math score was 284. In 2007, it was 286. Here is the real picture: From 1992 to 2009, Maine's 8th grade NAEP scores in math increased from 279 to 286 while, at the same time, the national average increased from 267 to 282. More importantly, during thie period, math proficiency in Maine steadily increased at all achievement levels. Of course we should always be working to improve Maine's schools. But readers should also recognize that those who are apparently misrepresenting these numbers are likely to be doing so for their own reasons. I see your correspondent down on MDI questions the analysis I made in February. 1. TEST SCORES. He challenges the use of SATs because we have a larger pool due to their use as an over all outcomes test by MDOE. In my remarks, I took care to note that we were doing OK...better than average, but declining by some key measurements. I noted Dr. Silvernail's concern that "we lag national averages in SAT test scores in key areas by 30 to 40 points," but did not rely on that unfortunate fact as the exclusive basis for concern our results were slipping. If that were the only data point, he might have an issue. But I took pains to use several troubling statistics, most of which Mr. Hubbell does not appear to contest. And while he finds some comfort in the overall rise in NAEP math scores (though significantly lagging national increases) he fails to acknowledge that by our most recent measurements, which compares us only to NH, Vt and RI, we lag our 2 neighbors who score 66% in math proficiency to our 61%, and that our relative performance in math has apparently fallen from 1st to 24th. I think that bolsters, and does not detract, from my concern that we are slipping compared to other states, notwithstanding the modest absolute increase suggested. It is both regrettable and perhaps cynical that Maine keeps changing the standards by which it compares itself to other states, making year to year and state to state comparisons increasingly difficult. Perhaps our officials imagine that no one is interested in how our students do compared to their peers elsewhere. 2. STUDENT TEACHER RATIOS. Your inquirer asked for a source on this ratio, and I assume was satisfied with the citation to the CQ results. We get to be tenth highest in costs per student, 25% higher than the national average, because of the student/ teacher, student/employee and special ed costs. If he needs any more info on any of these ratios I'd be happy to supply it. 3. RELEVANCE OF POPULATION DENSITY. Your correspondent suggests our costs per student are higher because of our relatively sparse population density, without citation to any supporting analysis. In fact, as you know, we rank 38th among the states in population density, at 42 per square mile. But even that figure is misleading, as the 12 million acres in the Unorganized Territory have virtually no human population, so the density in the organized part of the state is actually considerably greater. But even so,of the 12 states less densely populated than Maine, taking into account every acre, EVERY ONE spend less than Maine per student, suggesting there are efficiencies we are missing. well equipped to earn a living and become good citizens, and at a cost that is comparable with their peers in other states. I also recommended using tax dollars to ease the transition for teachers and other school employees from the current system to a more effective one. But I have no ideological commitment to what that new model might look like, other than an interest in shaping the curriculum to help students prepare for the jobs likely to be available in the American economy in the decades to come. Your correspondent said he'd publish, somewhere, any comments he received from us to the extent we wanted. I'd be happy to see any of my points in print in any forum, and pleased to provide any of the supporting documentation underlying my analysis to anyone interested. Thank you, David, for your reply. I am still interested in the basis of the assertion that Tony made in yesterday's Op-Ed that states with a population density similar to Maine have not only higher pupil teacher ratios (and therefore lower per-pupil costs) but also higher test scores. Below is a table of the ten states which Ed Week rated the highest in achievement for 2009. One might always quibble about the exact ranking, but I don't think anyone would dispute that these are the states whose performance Maine should be emulating. Only three of these states -- VT, NH, and MN -- are similar in population density. Vermont, which is most similar, actually spends more than Maine to get its top-shelf test results. New Hampshire's spending and performance is nearly identical. Only Minnesota, with a much higher overall population and a bit more wealth, manages to achieve similar results at a lower per pupil cost. It's easy to find rural states that spend less per pupil than Maine -- Mr Flanagan lists Oregon, Kansas, Utah, Nebraska, Nevada, Idaho, New Mexico, South Dakota, North Dakota, Montana, Wyoming, and Alaska. But he fails to close the loop with associating these states and their relatively poor school performance. The only responsible conclusion is that, to compete with Massachusetts and Virginia, it costs more per pupil to give a child in Jackman, Cherryfield, or New Sweden the same educational opportunity as a child in Falmouth, Bangor, and Cape Elizabeth. Given the war of scores shown here, I trust everyone can agree that linking teacher evaluations with student test results should still be a ways off for Maine. Although student learning is the primary goal for schools and teachers, student "achievement" is another matter entirely. There needs to be a common understanding (preferably agreement) on what's truly important and how that will be measured OR a common understanding what's going to be measured, which is not inherently the same thing as what's important. And, as is clearly shown by the virtual dialogue among Mr. Hubbell, Mr. Payne and Mr. Flanagan, neither scenario has yet occurred.